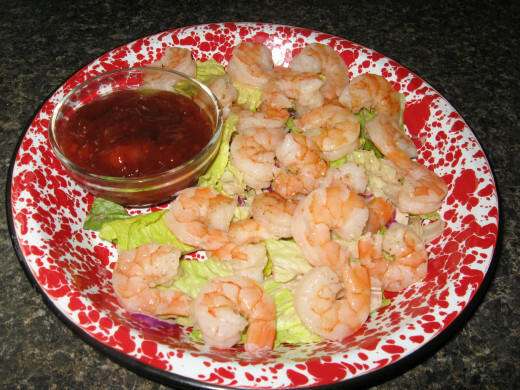 My family and I love all sorts of seafood, and boiled shrimp is one of our favorites. We have seafood meals at least a couple of times a week. Sometimes we enjoy these at restaurants, but more often, I cook my own seafood at home. Hubby says my seafood recipes are better than anything he’s eaten at restaurants, but I think he just says that because he doesn’t want to go out. I am good at cooking seafood, though. That’s probably because I enjoy it so much and because I’ve had so much experience. I lived near the coast for ten years, and we were always buying super fresh seafood or catching our own. We still make trips to the coast whenever we can, and we enjoy fishing, crabbing, scalloping, clamming, and tossing or dragging a net for finned fishes, shrimp, and blue crabs. When we’ve made a haul, we like to have friends and family over for a fish fry, a shrimp boil, an oyster roast, a Low Country Boil, a crab boil, or some Frogmore Stew. Sometimes we combine two of these for a real seafood feast, and boiled shrimp is almost always included. 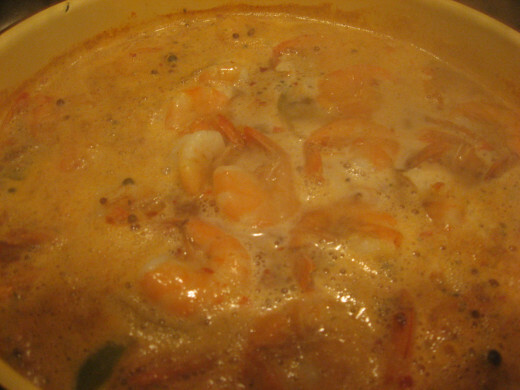 For some tips on boiling shrimp, along with my shrimp boil recipe, read on! Boiled shrimp is a common seafood meal at my house. 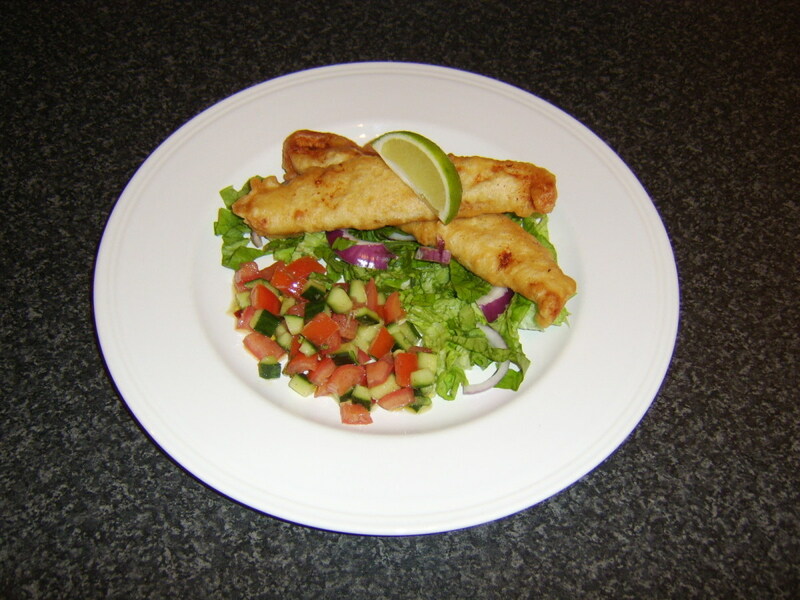 They’re quick and easy to make, and they’re delicious. Sometimes we eat the prawns with my homemade cocktail sauce, and sometimes we use my yum yum sauce as a dipping sauce. 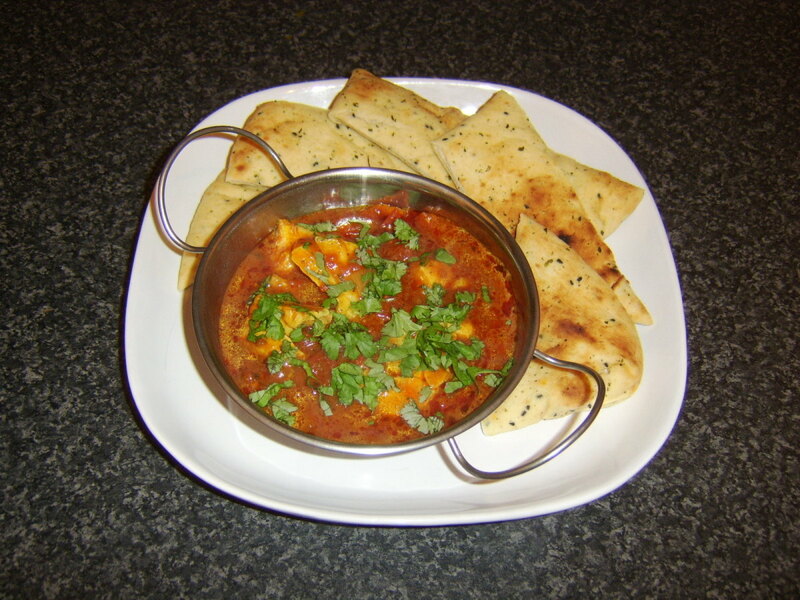 You can click the links to get those recipes, if you like. On occasion, we like to dip the cooked shrimp in melted butter and seasonings. I usually cook more boiled shrimp than we’ll eat in a single meal. I keep the leftovers in the fridge and use them to make shrimp salad, seafood salad, or shrimp cocktail appetizers. The leftover boiled shrimp can also be added to green tossed salads or heated quickly in stir fries. Sometimes I add them to hot pasta dishes with Alfredo sauce. Boiled shrimp are actually pretty versatile! I like to use the easy-peel raw shrimp when I can find them. The shells are still mostly intact, but they’re split down the back, and the veins have been removed. Also, the heads have been removed, but the tails are left on. I think this is the best of all possible worlds when it comes to boiling shrimp. The shells add flavor to the shrimp boil and help protect the tender flesh from overcooking. At the same time, the yucky veins have already been removed, and the shrimp are super quick and easy to peel. 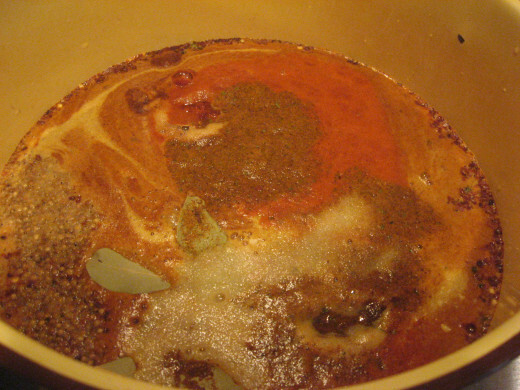 Many cooks use prepared shrimp boil seasoning for their boiled shrimp. 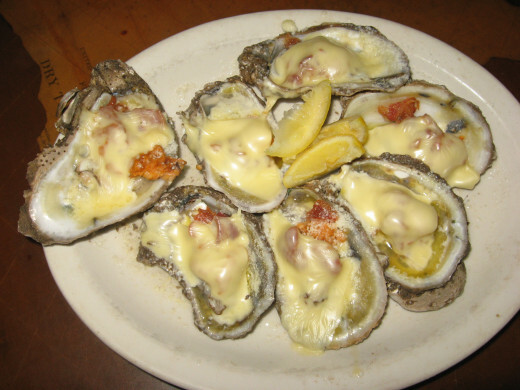 The most popular are probably Old Bay and Zatarains. I’ve used both of these commercial shrimp boil and crab boil mixes, but more often, I make my own. There’s no right or wrong here, as everyone has different tastes, so why not just make your own? Your spices and herbs don’t have to be contained in a bag or in cheesecloth, despite what some seafood recipes tell you. In fact, I think you get more flavor when the seasonings are allowed to “roam freely” around the cook pot. 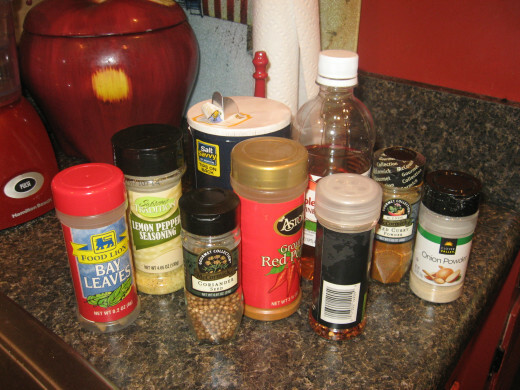 I’ve created a table with suggestions for shrimp boil seasoning, below. To make your own shrimp boil or crab boil, choose your favorites from the lists and start cooking! Rate my shrimp boil. Thanks! This shrimp boil recipe is the amount I use for two pounds of shrimp. I’ll tell you how to boil shrimp, step by step. It’s easy! Start with two pounds of fresh shrimp. In my opinion, wild caught shrimp have more flavor. The farm-raised shrimp are rather bland. I also try my best to buy Georgia shrimp or Florida shrimp because I like to support U.S. shrimpers. Besides, I live in South Georgia, not too far from the Florida line, so I know the shrimp will be fresh. Once I’ve purchased my shrimp, I take them home and rinse them briefly in cold water. 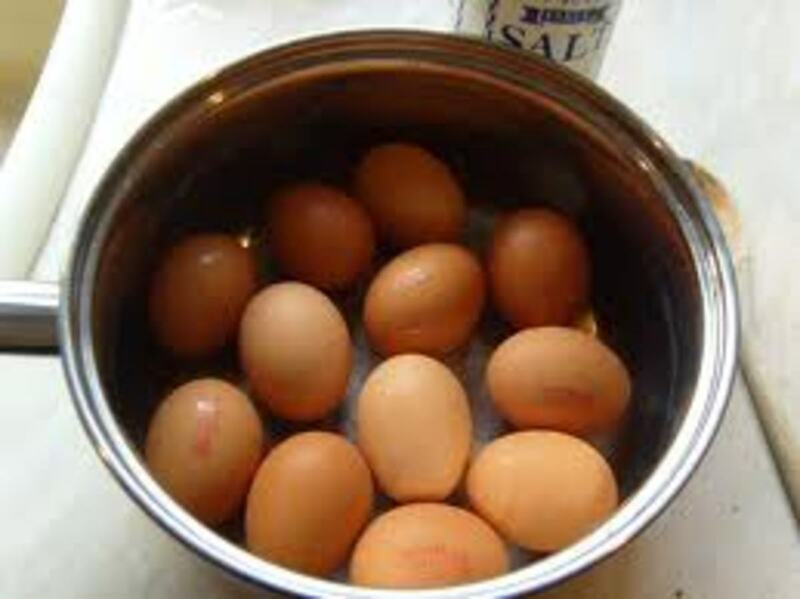 Nest, I set them in a colander to drain. I fill a large pot with the water, vinegar, beer, lemon and lime wedges, and the above shrimp boil recipe. I bring the water to a full boil and allow it to boil for about five minutes. This releases the flavor of the shrimp boil seasoning. Next, I add the shrimp. How long to boil shrimp? That depends on the size of the prawns. Small shrimp will be done and ready to eat in about three minutes, while larger shrimp will take longer. I boiled some jumbo shrimp this past weekend, and they cooked for about six or seven minutes. How do you know when the shrimp are done? Shrimp turn pink when they’re cooked, and they start to float. If you’re not sure about doneness, grab a shrimp from the pot, cool it under running water until you can handle it, and peel it. The flesh of cooked shrimp will be snowy white. Please don’t overcook the shrimp! If you do, they’ll be tough. Once you’re satisfied that the shrimp are done, drain them immediately into a large colander and plunge the colander into cold water. Some cooks use an ice bath for this, but I don’t. The cold water seems sufficient to stop the cooking process, and my boiled shrimp are never tough. After the plunge, drain the shrimp well. 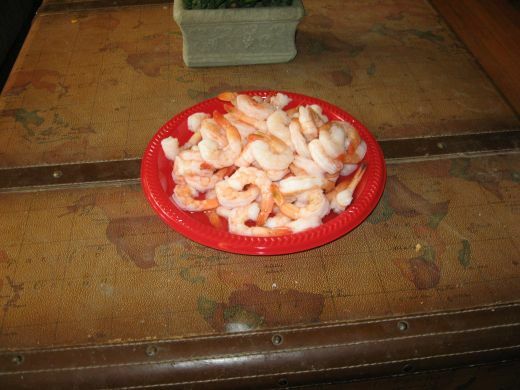 We like our boiled shrimp to be served cold, so I keep the prawns in the fridge until I’m ready to serve them. I can’t leave without saying a word or two about Low Country Boil and Frogmore Stew. 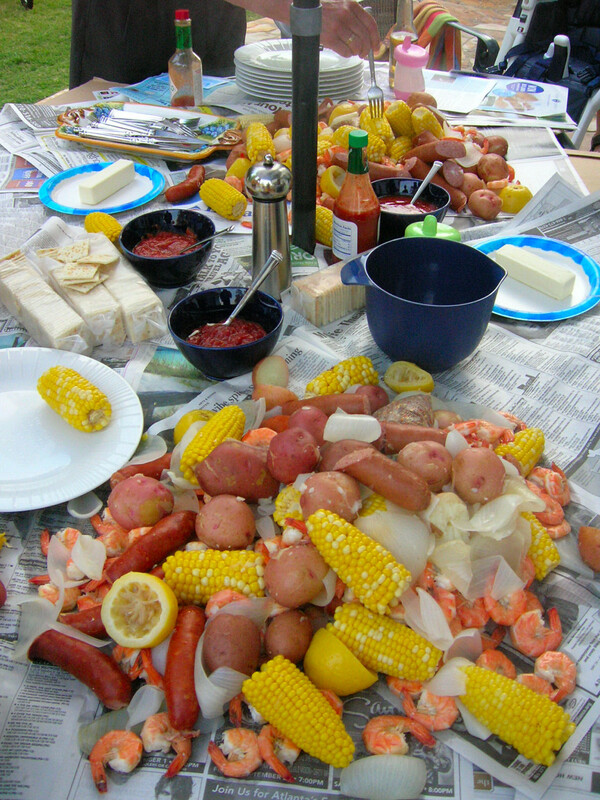 Low Country Boil is a favorite way of entertaining here in the Deep South. This is usually done outdoors, on a deck or patio. We use a large pot over a gas cooker for our shrimp boil, and everything is cooked in the same pot: shrimp, smoked sausage, red potatoes, and corn on the cob. You can read my Low Country Boil recipe by clicking the link. You can add other ingredients, too, like blue crabs, crab legs, stone crab claws, and/or onions. You’ve undoubtedly heard of Low Country Boil, but are you familiar with Frogmore Stew? Basically, it’s the Gullah or Geechee version of Low Country Boil. Actually, I think Frogmore Stew came first. 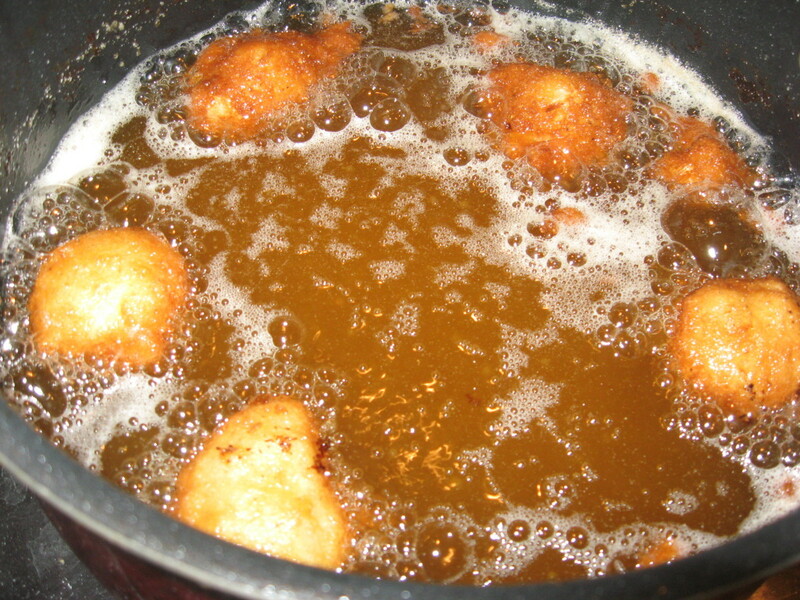 If you’re not familiar with Gullah recipes, click the link to learn more. My family has a long history with Gullah recipes, which are very similar to Low Country recipes from the coastal region of South Carolina. Supposedly, Frogmore Stew was a common dish in the Frogmore neighborhood of St. Helena Island, off the South Carolina coast. As with a low country boil, Frogmore Stew is usually served outdoors on newspaper-covered picnic tables. Are you carving seafood now – especially boiled shrimp? Get in your car or walk to your nearest supermarket or seafood market and choose your shrimp. 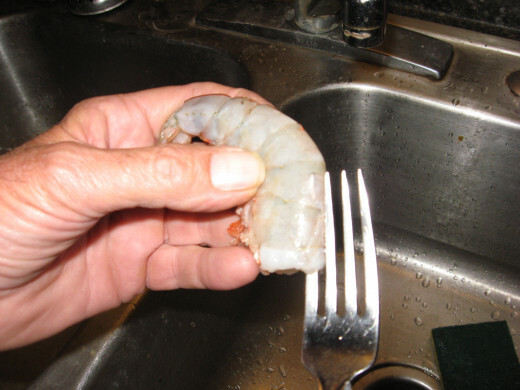 Fresh shrimp should be firm and should lack a “fishy” or ammonia odor. If you can’t find fresh shrimp, buy flash frozen shrimp. How many pounds will you need? Figure on at least a half-pound per person, and then add some more. My husband, who isn’t a large man, can easy eat an entire pound of boiled shrimp by himself! Don’t worry about having too many shrimp. 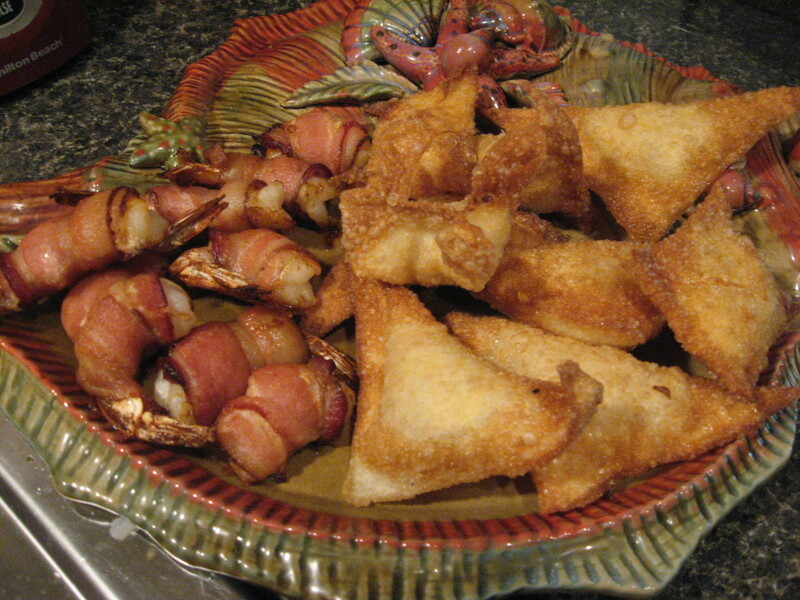 As I said, leftover boiled shrimp can be used in a variety of ways. We’ve never had to throw away shrimp. Use my shrimp boil recipe, and make alterations to suit your likes and dislikes. Let me know how your boiled shrimp turn out! What do you like with your boiled shrimp? I like my boiled shrimp plain. 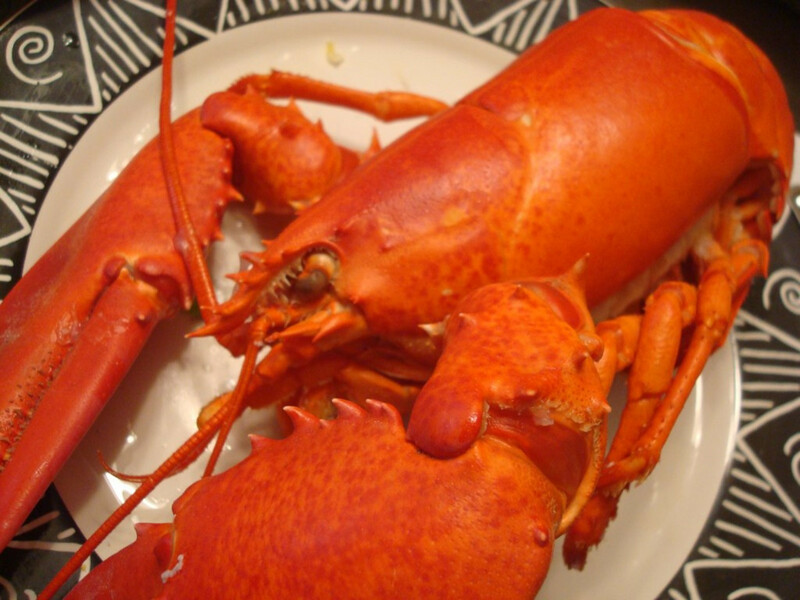 Lobster is healthy seafood and a source of iodine, benefits from lobster, information, history and recipe! Sorry to leave you drooling, Richard! We live pretty close to the coast, so getting fresh shrimp isn't a problem for us. We used to even catch our own! Good to see you! I love a good shrimp boil... I was spoiled though while living near Biloxi, MS and acquired a taste for Zaterain's. Lived there (40 minutes from New Orleans) for 7 years before moving to Charleston, SC for another 7. The Low Country Boil is so bland compared to the way it is done in Southern MS and N.O. I just love the Cajun spice... Living in Chicago now it is impossible to find good fresh shrimp because of all the competition among restaurants... where in MS we purchased it right off the boats as they came in. How I miss that... buying the freshest shrimp or even a sack of oysters... Darn it Habee, why did I come to this hub... now I'm starving. MsDora, I would be happy without my "shrimp fixes"! Carol, I don't think I'd ever get tired of shimp, either! You already know, Holle, how much I love anything cooked that is pork. Well, shrimp are number two on my list: boiled, fried, broiled or breaded. Thanks for your unique shrimp boil recipe. I think you know in your heart that your husband tells the truth about your recipes being better than anything he’s eaten at restaurants. I don't eat shrimp, and I still read this through. I wouldn't miss the pictures. Voted Up and Useful! 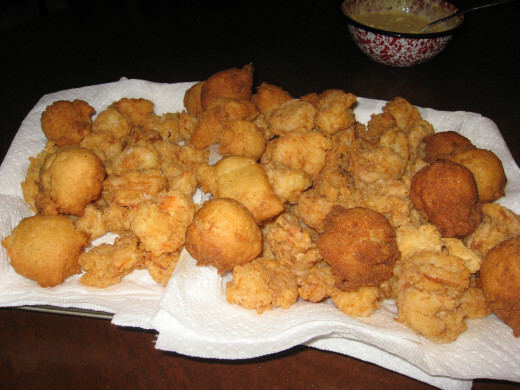 As always your recipes and food ideas are so complete..leaving nothing to the imagination..We love seafood when we can get it..We buy a lot of frozen shrimp and it is pretty good. Thanks for a great hub. Pinning.